Welcome to Groom FFA's blog. We recently obtained our charter from the Texas FFA and National FFA Association! Come grow with us! Our students are participating in a variety of leadership and career development events. 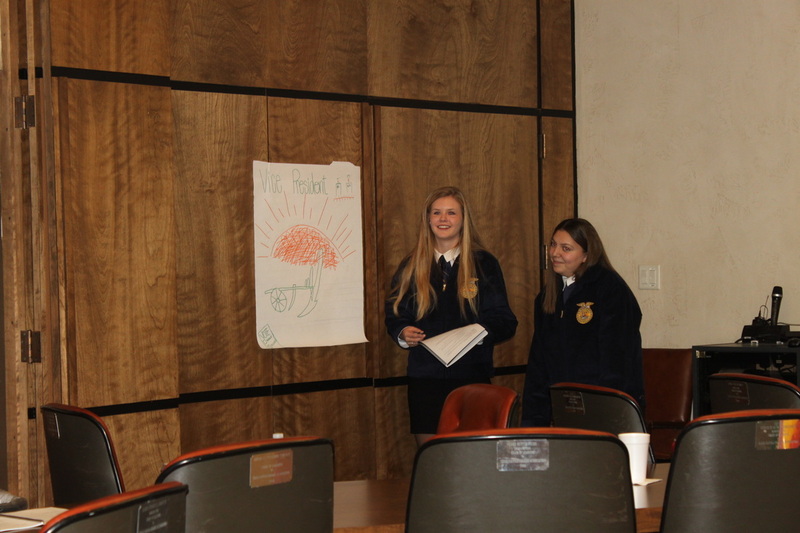 ﻿Groom FFA offers students a variety of ways to grow themselves into premier leaders. Our students participate in a variety of LDE's or Leadership Development Events. Members are currently working on Chapter Conducting (Parliamentary Procedure), Radio Broadcast, FFA Quiz, and more! Our officers and members have attended various leadership conferences and workshops all over the state. ﻿Students in our ag classes have the opportunity to learn about and discover new and exciting career opportunities within agriculture. The Principles class works to show students the size and scope of careers available. Groom ISD also has students participating in certification programs including the Texas Cattle Feeders Feedyard Tech Certification program. Students receive hands-on training and instruction by professionals, test and participate in a mock interview for a feedyard position. Members are encouraged to grow their passions and skills through a variety of ag class and FFA activities. Students refine their oral and written communication skills, listening skills all while learning about agriculture.